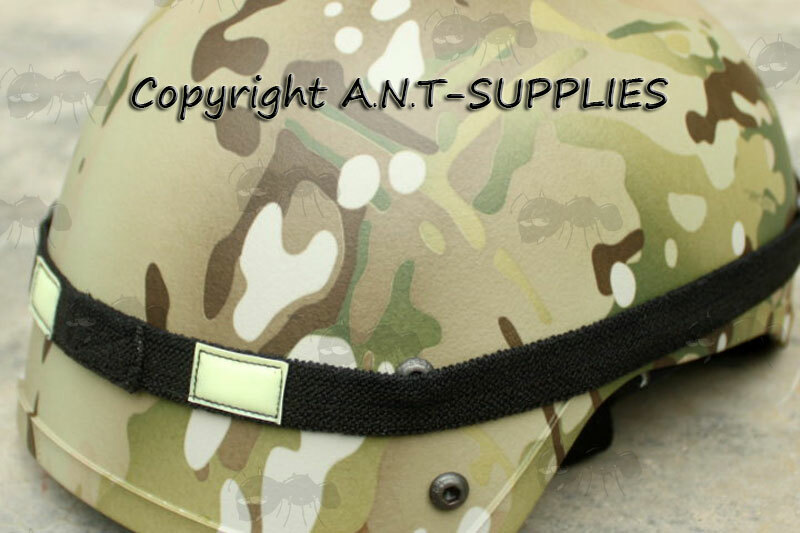 Army helmet reflective patch headband. 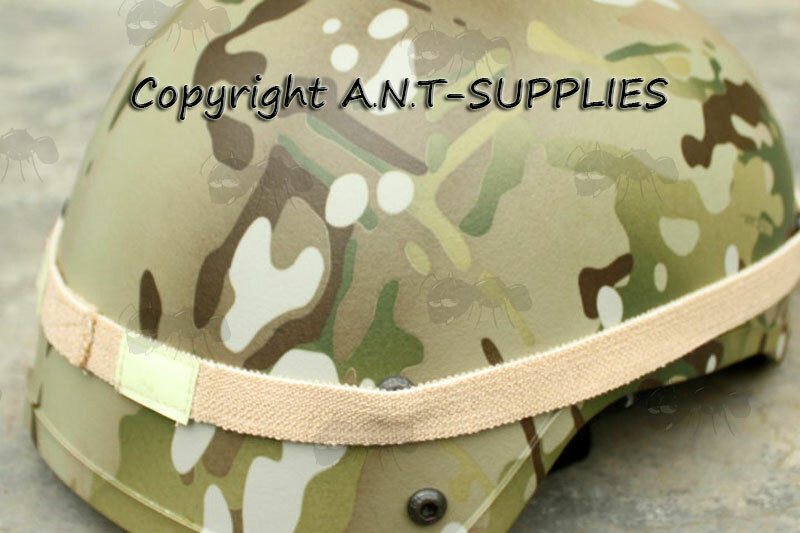 Also available ~ Army helmet counterweight pouches. 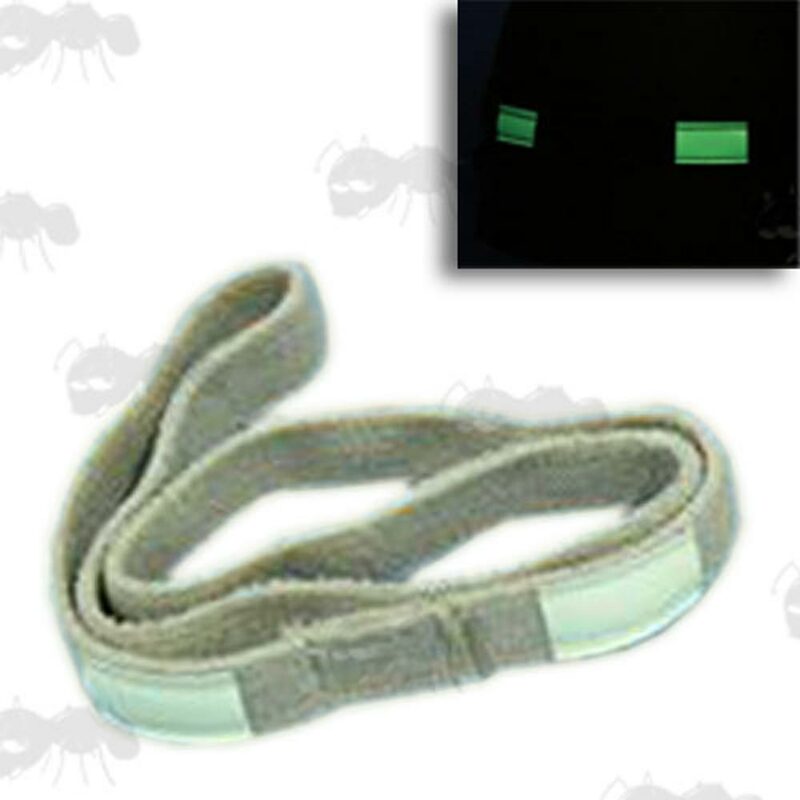 Cat's eyes elasticated thick nylon helmet bands with two highly reflective rectangular patches. 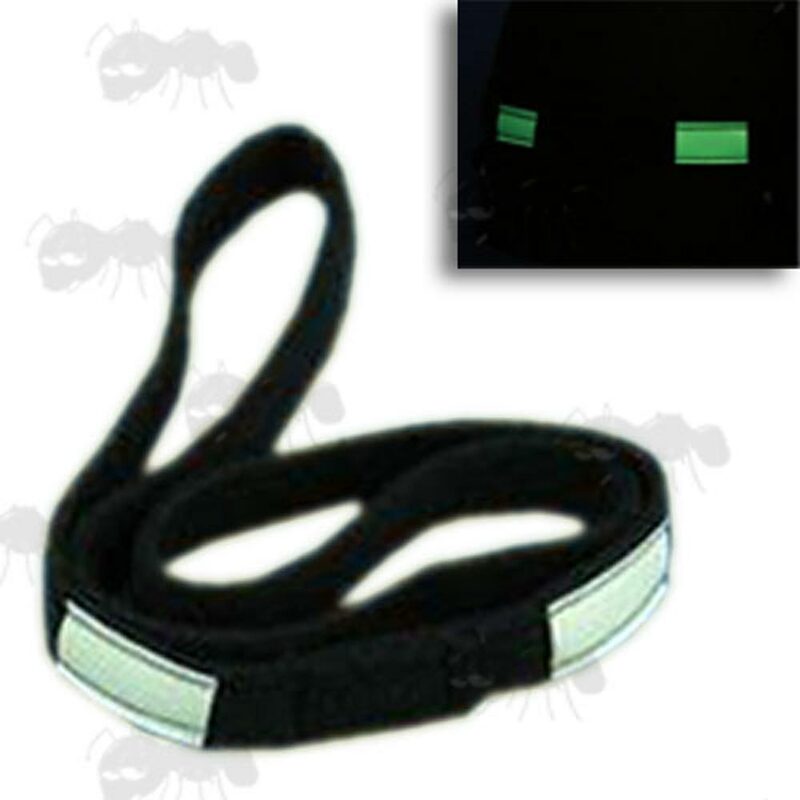 For night use ~ identify friend or foe and aids walking in line. Can be used to hold foliage for helmet camouflage. 16mm wide x 570mm long (unstretched).